Yum! 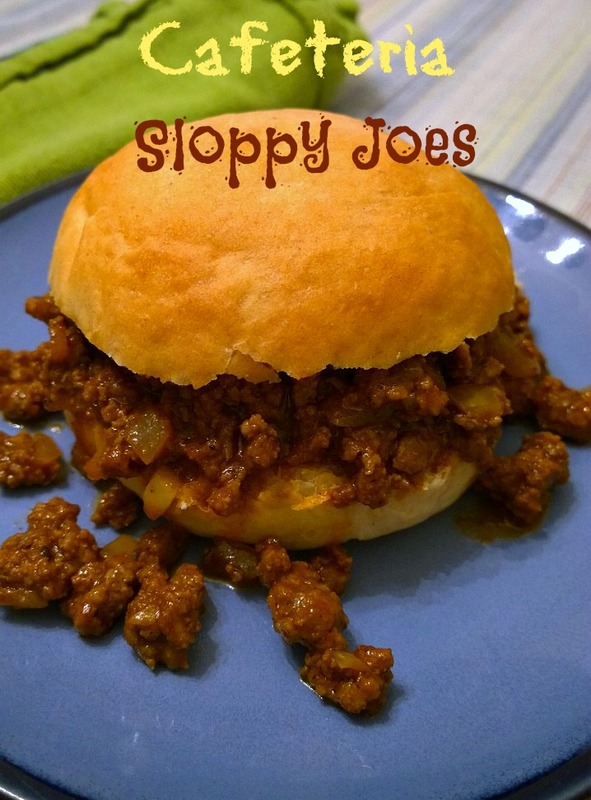 These are the least fussy sloppy joes that I came across in my search. 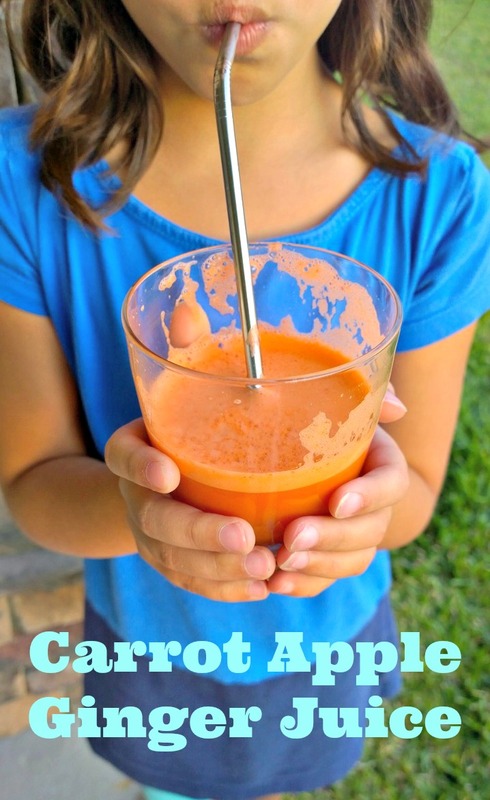 The flavor was kid friendly without too sweet or bland – I loved it and happily ate leftovers the next night. My picky eater quickly ate her portion without any coercion from me – that almost never happens and that is a win in my book 😉 Thanks for reading, enjoy! 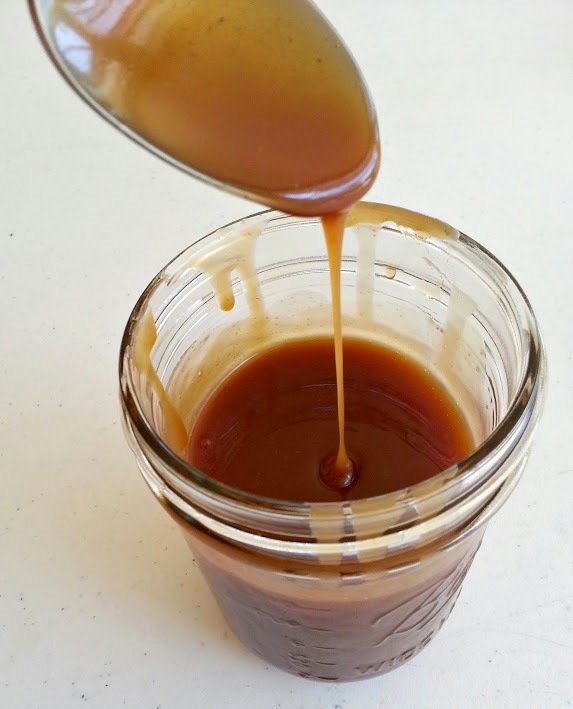 I have never made caramel before, but I watched this episode of Kelsey’s Essentials and decided that this should be easy enough to try. Thankfully it worked out really well and I will use this recipe again. This caramel is destined to become part of the Snicker’s cake that I will be serving on Labor Day. I am also going to attempt making marshmallow fluff from scratch so hopefully that recipe turns out as well as this caramel! 🙂 Thanks for reading, enjoy! *Cook’s Note: The salted caramel sauce will keep in the refrigerator up to 2 weeks. Reheat before serving. The best thing I heard someone say about these last night was: “I can tell without even trying them; they’re good!” And they are, and completely addicting…it’s a good thing that I made them for a big group of people and not for my family of four! The recipe that I found suggested the candy melts, but I didn’t have them. Recently, I found a tip for melting chocolate with a little bit of coconut oil to replace those, and it worked so well I decided to use the method again. The white chocolate didn’t want to melt as smoothly as the semi-sweet kind, so I just kept adding coconut oil by the teaspoon, and melting the mixture slowly until it became the right consistency. I forgot to add more chopped Oreos to the mix, but these were still so good. Next time I will not skip that step 😉 Thanks for reading, enjoy! 1. “Cream”- Measure out the rice Chex and place in a large bowl. Measure out powdered sugar and crushed Oreos and place in a container with a lid (You’ll need to shake the mixture in this later). 2. Melt white chocolate with the coconut oil, be careful not to burn it! (My microwave has a melt setting that I use) Pour melted chocolate over rice cereal and stir until coated. 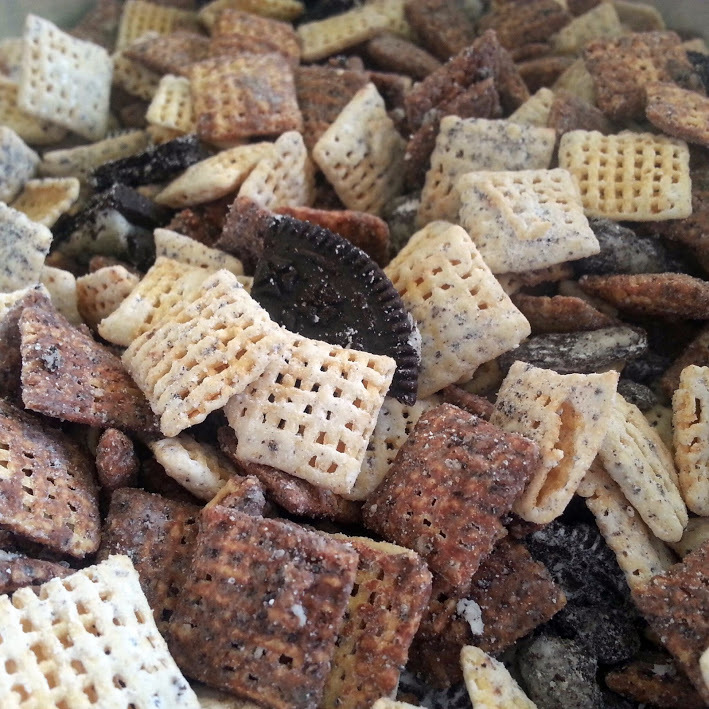 Transfer the coated cereal to the container with the powdered sugar and cookies. Shake until evenly coated. Dump the mixture on to a cookie sheet to cool. Chocolate – okay. Cobbler – what?? Never heard of you! This recipe seems to be a favorite among Tasty Kitchen members, and since I have this brand new bag of King Arthur Self-Rising flour waiting to be used, I figured this was a good place to start. What makes KAF Self-Rising flour (besides the quality), is that it is unbleached and the baking powder is aluminum free. I know my local grocery store does not carry a similar product, and now I’m hoping that it will stock this soon! 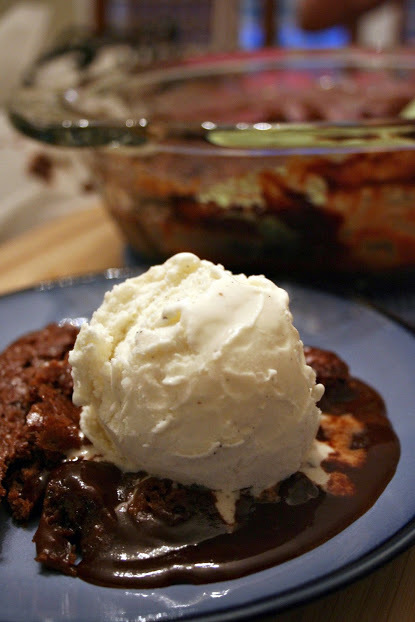 Verdict: Chocolatey, gooey goodness! Make sure to top it off with a generous scoop of vanilla ice cream! Thanks for reading, enjoy! First stir together the flour, baking powder, salt, 3 tablespoons of the cocoa, and 3/4 cup of the white sugar. Reserve the remaining cocoa and sugar. Stir in the milk, melted butter, and vanilla to the flour mixture. Mix until smooth. Pour the mixture into an ungreased 8-inch baking dish. I prefer my 2 quart casserole from Princess House. In a separate small bowl, mix the remaining white sugar (it should be 1/2 cup), the brown sugar, and remaining 4 tablespoons of cocoa. 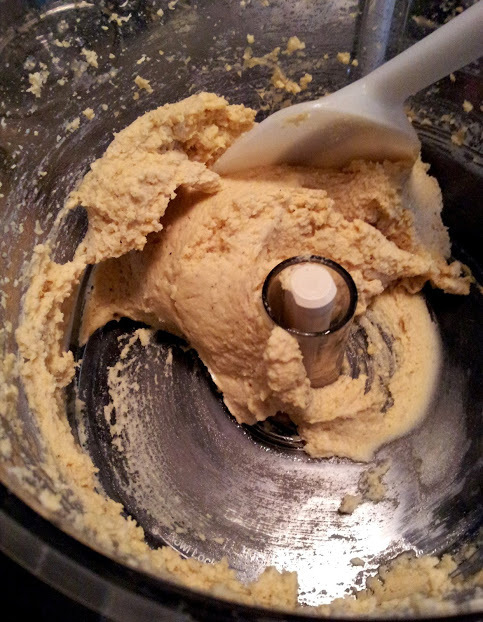 Sprinkle this mixture evenly over the batter. Let stand for a few minutes if you can hold yourself back. 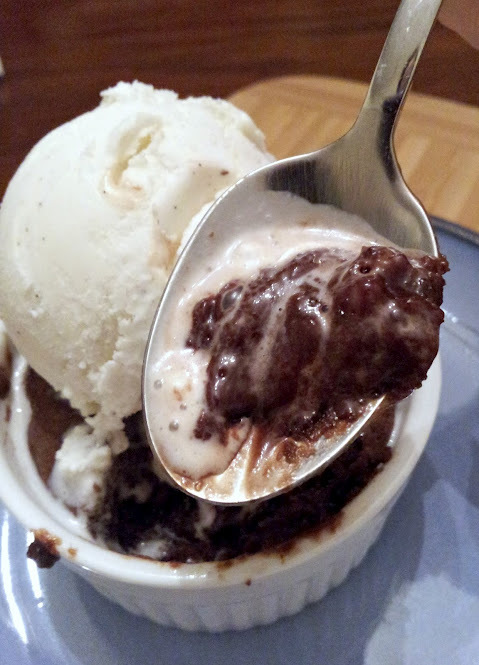 Serve with homemade ice cream using the gooey sauce to spoon over all. Combine all ingredients. Blend until smooth. If it is a little dry, just add a little more lemon juice or olive oil, a teaspoon at a time, until you have the desired consistency. Add more salt and pepper if you like. Scrape out the hummus in a serving bowl and sprinkle the sumac on top. 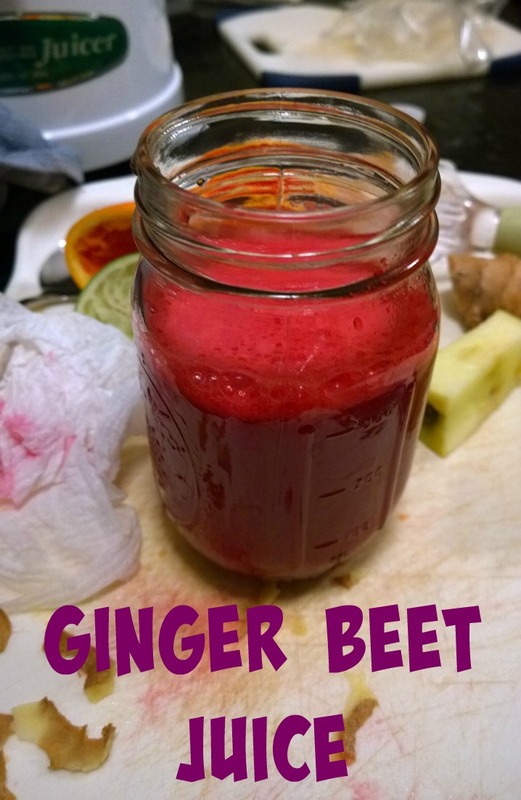 Serve with raw veggies, or spread on some pita bread. I was inspired to make these after watching one of my favorite cooking shows. I knew I would need some quick teacher gifts for the kids (I hope they like almonds! ), and some snacks for the party we’re hosting today. I tried a few and I am happy to report that they are really tasty! Our friends loved them and I even had some recipe requests for them 🙂 Thanks for reading, enjoy. Preheat the oven to 300 degrees F. Beat the egg white with the vanilla extract, add the almonds and stir to coat. Combine the sugar, salt, and cinnamon and combine with mixture. Place in a single layer on a greased baking sheet. Bake at 300 degrees F for 20 minutes. Remove and cool on wax paper and break into clusters. Hallelujah! I found the best, most authentic tasting, not to mention easiest flour tortilla recipe out there. What makes it even more amazing is that the dough is very forgiving and really easy to roll out. Recipes that call for milk, baking powder or oil cannot come close to the awesomeness of shortening (or lard), sorry! I used this non- hydrogenated vegetable shortening instead of Crisco. Combine the flour and shortening in a large mixing bowl and work the shortening into the flour with your fingers until completely incorporated. If this isn’t done thoroughly (until no particles of shortening remain visible), the tortillas will have an irregular texture. Dissolve the salt in the water and pour about 2/3 cup over the dry ingredients and immediately work it in with a fork; the dough will be in large clumps. 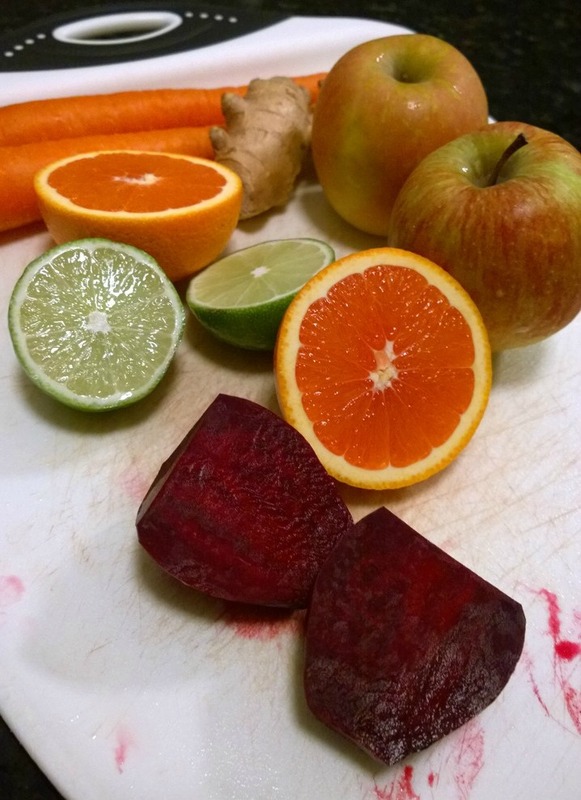 If all the dry ingredients haven’t been dampened, add the rest of the liquid (plus a little more, if necessary). Scoop the dough onto your work surface and knead until smooth. It should be a medium-stiff consistency – not firm, but not quite as soft as most bread dough either. Divide the dough into 12 portions and roll each into a ball. Set them on a plate, cover with plastic wrap and let rest for at least 30 minutes – this makes the dough easier to roll. Heat an ungreased griddle or heavy skillet over medium to medium-high heat. Flatten a ball of dough, flour it, then roll forward and back across it; rotate a sixth of a turn and roll forward and back again; continue rotating and rolling until you reach a 7-inch circle, lightly flouring the tortilla and work surface from time to time. Lay the tortilla on the hot griddle (you should hear a faint sizzle and see an almost immediate bubbling across the surface). After 30 to 45 seconds, when there are browned splotches underneath, flip it over. 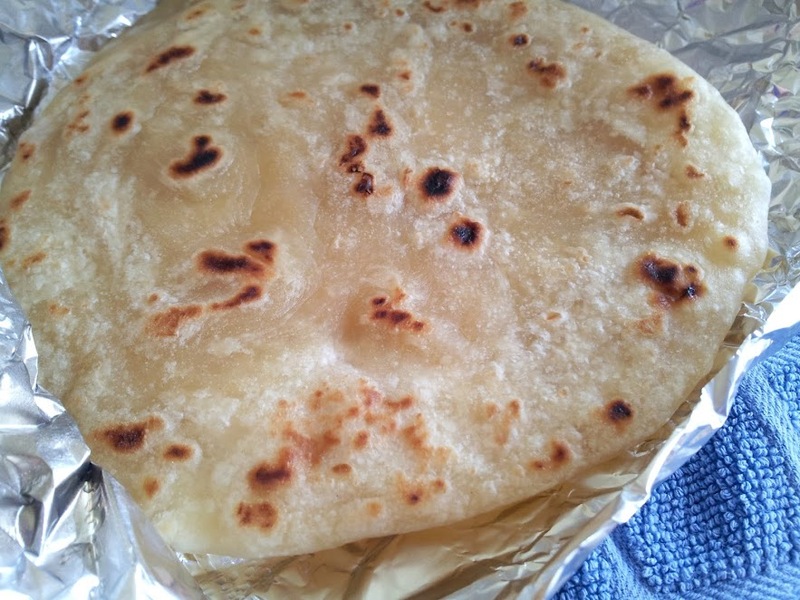 Bake 30 to 45 seconds more, until the other side is browned; don’t overbake the tortilla or it will become crisp. Remove and wrap in a cloth napkin placed in a tortilla warmer. 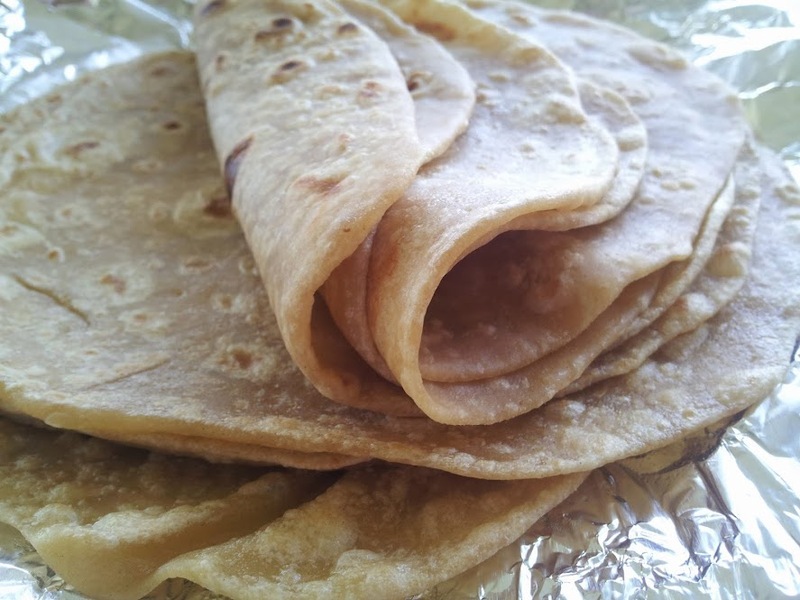 Roll and griddle-bake the remaining tortillas in the same manner – stack them one on top of the other in the warmer. 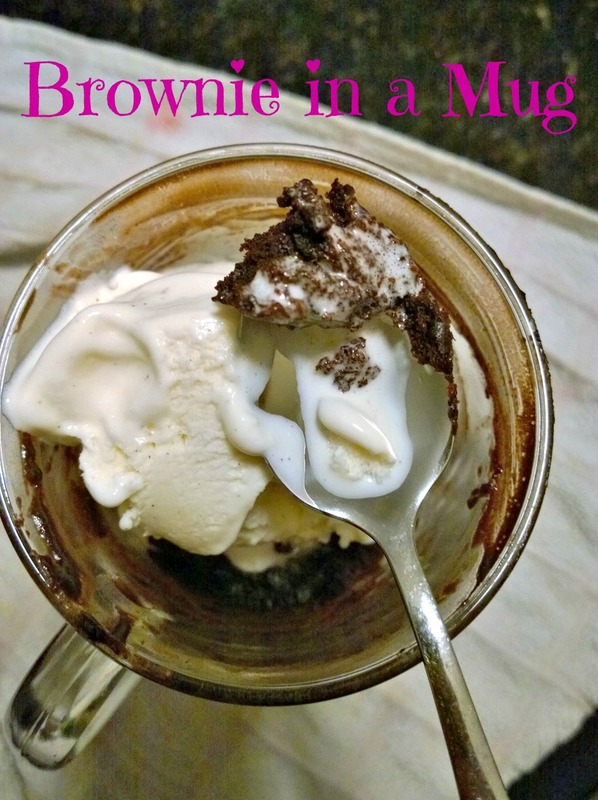 Quick Post: Light, cakey brownie. Not chewy, but it hit the spot 🙂 Thanks for reading, enjoy! 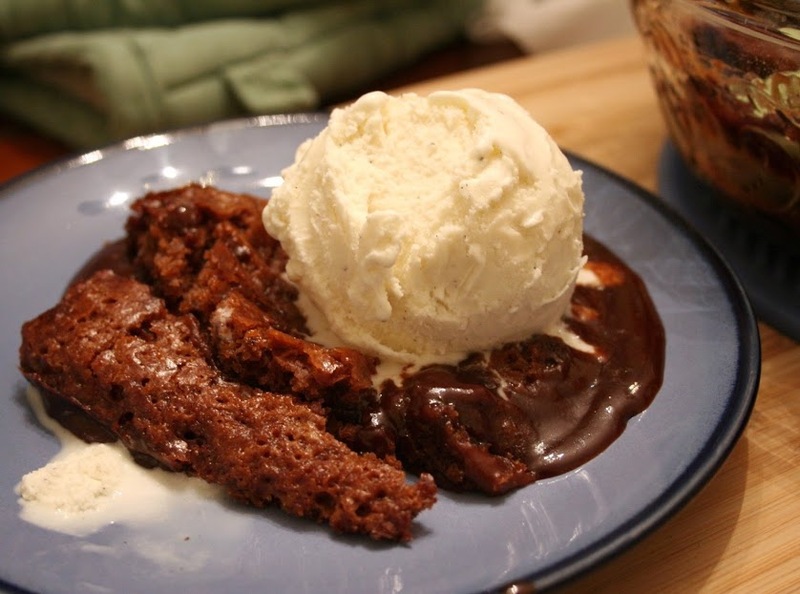 Brownies – adapted from Just Eat It! Preheat oven to 350 degrees. Butter three – 6 ounce ramekins or a small baking dish. Melt the butter and chocolate on low heat, stir and set aside to cool slightly. Whisk together the sugar and the eggs, then stir the chocolate mixture into the egg mixture. Add the flour and cocoa powder. Fold in the nuts. Bake for 18 – 20 minutes or until set, and the center should be a little underdone.